We got a juicer not too long ago and I LOVE it. We usually compost the pulp that remains after you make juice but a friend told me that there are tons of recipes that use the pulp. She said that carrot pulp can be used to make carrot muffins, so I originally set out to find a muffin recipe. I found these burgers instead and they were delicious. I put the carrot, onion and celery in a food processor and the fine chopping was quick and easy. Combine the chopped carrots, onion and celery with the carrot pulp, crushed cornflakes, and eggs in a bowl. The recipe originally called for two eggs but we thought the burgers weren’t sticky enough so we added a third egg. Add a little salt and pepper and mix well. 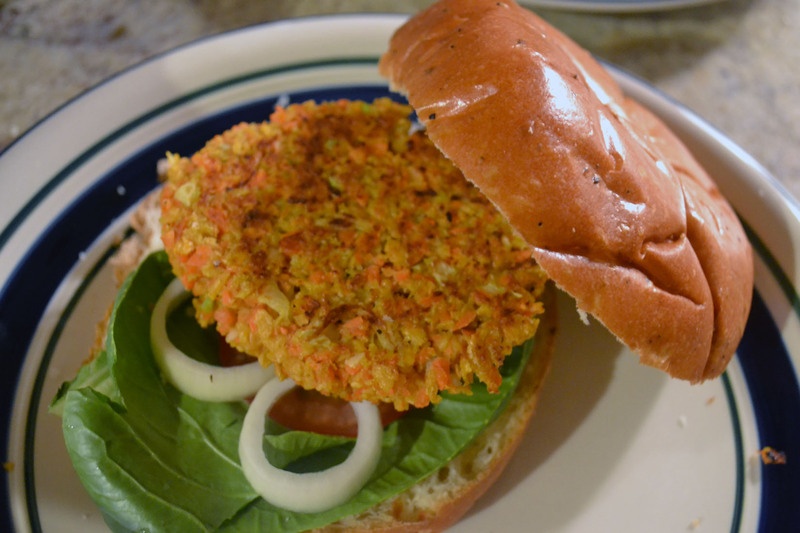 Form the mixture into patties – once this recipe made four patties and once it made five. Who knows what you’ll end up with. 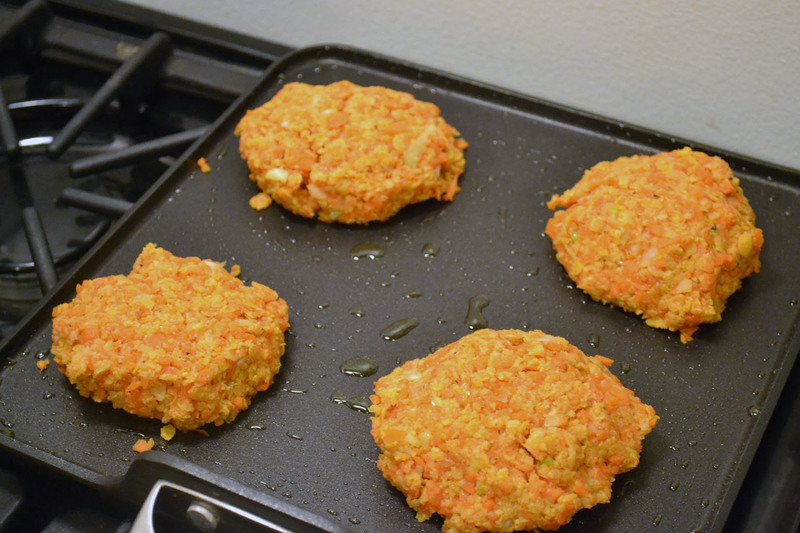 Melt a bit of butter in a skillet over medium heat and cook patties for a few minutes on each side or until browned. I think we’ll also try cooking these on foil on the grill this summer. Top with lettuce, tomato, onion, pickles – whatever you like! Serve on your favorite buns.